Well, I did it, finally - I joined the Signal Cartel, Mynxee's band of merry explorers and space hippies. Known for their neutral corporate credo and interesting way of dealing with aggressors and wardecs (i.e., "hug fleets"), the Signal's culture reminds me of my best days in EVE University. I've always enjoyed exploration, and I'm eager to get more experience in Thera, w-space, 0.0 and low-security space. The Signal Cartel is perpetually wardec'd, but they operate almost entirely outside of high-sec, so it doesn't really matter very much. I have dabbled in wormholes and null security space before, but I've always felt I could use more flight time in both. The Signal Cartel will give me that opportunity aplenty. I will likely migrate to the Signal's base of operations, Thera, the "Mos Eisley" of wormhole space, as it is the only w-space system with stations. Actually, I've had an alt character in Thera for a few months already, scoping it out and making bookmarks, so I'll have an easier time navigating there. The Signal Cartel is the principal part of the EvE-Scout Enclave alliance, which maintains a constantly updating list of wormhole connections in and out of Thera. I'm looking forward to contributing to this effort on a regular basis. The only distasteful part of joining Signal Cartel is that they use Reddit for their corporate forum and communications. I generally loathe Reddit, but I shall endeavor to tolerate it. I should be alright if I don't wander over to look at /r/eve threads, which almost always give me a headache. It will be enjoyable to be part of a larger corp again, I think - especially one dedicated to peaceful pursuits and mutual support. A corp that isn't focused on PvP is a fairly rare thing in EVE Online, but I've always been attracted to those who like going against the grain, just for fun. 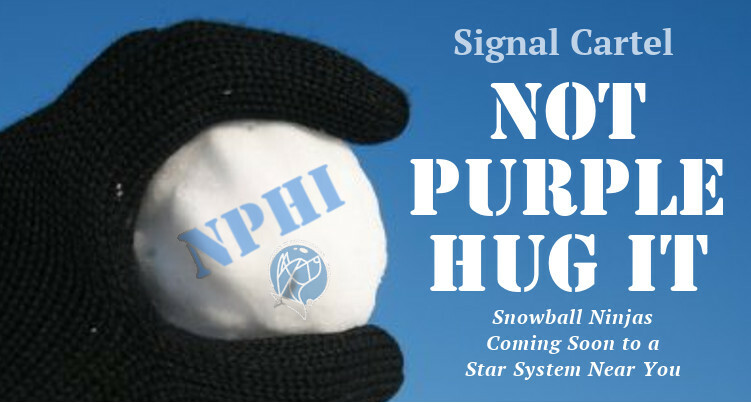 Looking forward to joining a "Not Purple, Hug It" (NPHI) fleet soon! Posted in Commentary and tagged with EVE Online, Signal Cartel. February 27, 2016 by Neville Smit.